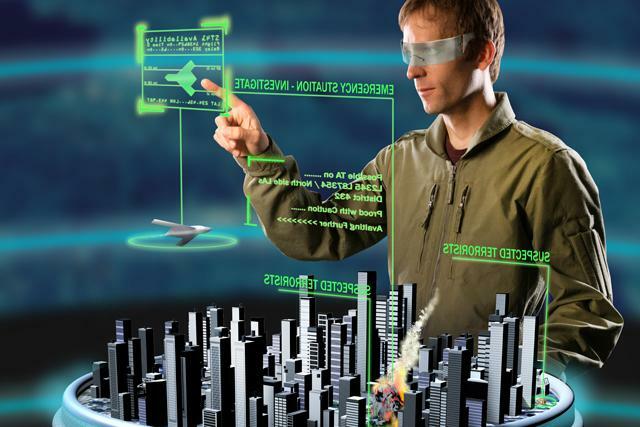 The notion of Augmented Reality, which can creatively overlay virtual data in a real-world view, has huge potential for various military operations. This increasingly popular concept aims to revolutionise the battlefield and is already being rolled out to both ground and air troops. 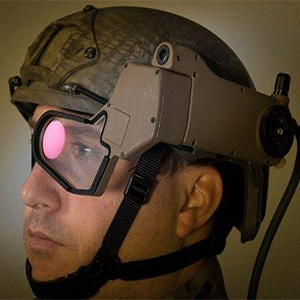 Whilst existing systems typically rely on extremely expensive and bulky hardware, the Augmented Reality systems hope to ultimately lead to the production of much lower cost procedures and smaller devices, which are as small and light as a pair of contact lenses. The research undertaken so far has focused on two main concepts: a briefcase sized ‘Portable Command Centre’ and a ‘Wearable Cockpit’. The Portable Command Centre uses commercial technology to create a semi-virtual environment, that can be transported in a briefcase and set up anywhere from within a tent to an office. The idea of the concept is to combat a range of emergency scenarios, including an outbreak of fire or an act of terrorism. 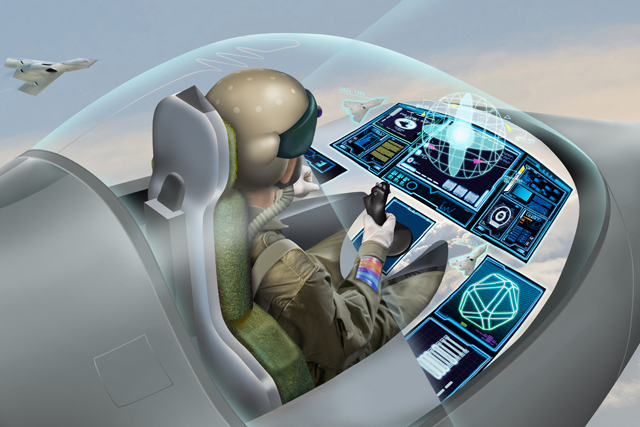 The Wearable Cockpit is a virtual cockpit created by a headset, that offers various virtual displays and controls, enabling pilots to customise their interface with the aircraft based on their own preferences, mission objectives and the immediate task at hand. It aims to ultimately enhance a pilot’s situational awareness. After putting on the headset and interactive gloves, the user will be able to monitor situations anywhere in the World. Actions include zooming in and manipulating environments, directing soldiers and viewing virtual videos that allow them to monitor news channels and feeds from unnamed aerial vehicles. The collaboration and introduction of Augmented Reality technology has introduced creative results, delivering ‘the next generation of advanced mixed reality interfaces for future applications not only in defence, but also in such important domains as engineering and healthcare”, says Colosimo. Bob Stone, University of Birmingham Simulation and Human Factors specialist also stated: “Being able to physically manipulate virtual objects in the real world has been challenging scientists for 40 years”. Many industry sectors are recognizing the potential for Augmented Reality to enhance educational, sales or entertainment objectives, through highly interactive environments. Areca Design have, to date, created effective Augmented Reality Apps for a range of industry sectors, including: Automotive, Historic Tours, Environmental and Education. For further information or to discuss how Augmented Reality could benefit your business, please contact us today on: 01386 570360, or email us at: designteam@arecadesign.co.uk.